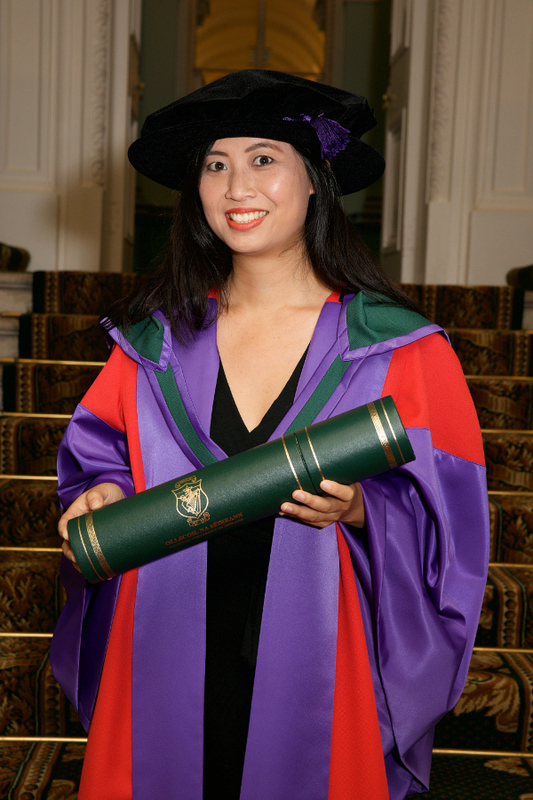 The National University of Ireland held its annual Honorary Conferring Ceremony on the 11th of October 2018 in the Corrigan Hall of the Royal College of Physicians in Ireland. 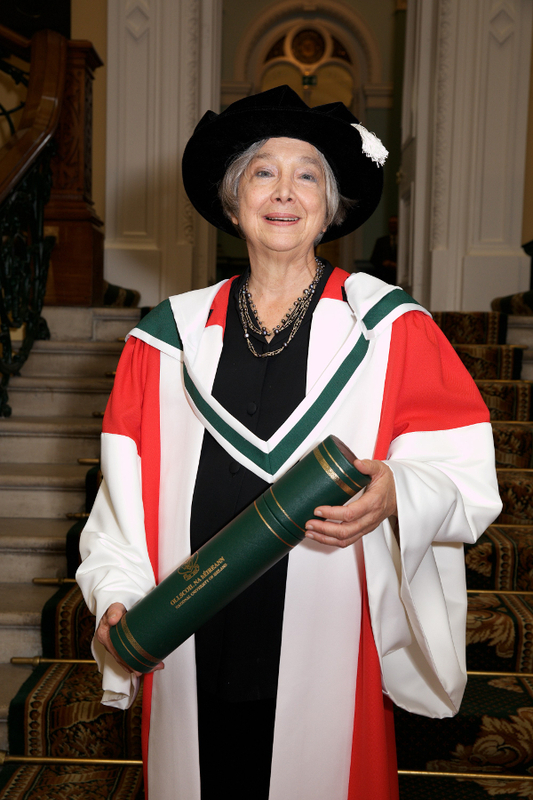 Four highly distinguished individuals were conferred with honorary degrees of the National University of Ireland at the Ceremony. The honorary graduates, all exceptional in their own fields are writer, producer & activist, Winne M. Li; Head Coach of the Irish rugby team, Joe Scmhidt; plastic surgeon, Professor Michael Earley and Professor of English, Vera Kreilkamp. Speaking at the ceremony in the Royal College of Physicians in Ireland, the Chancellor of NUI Dr Maurice Manning congratulated the new graduates and commended them for their remarkable achievements. 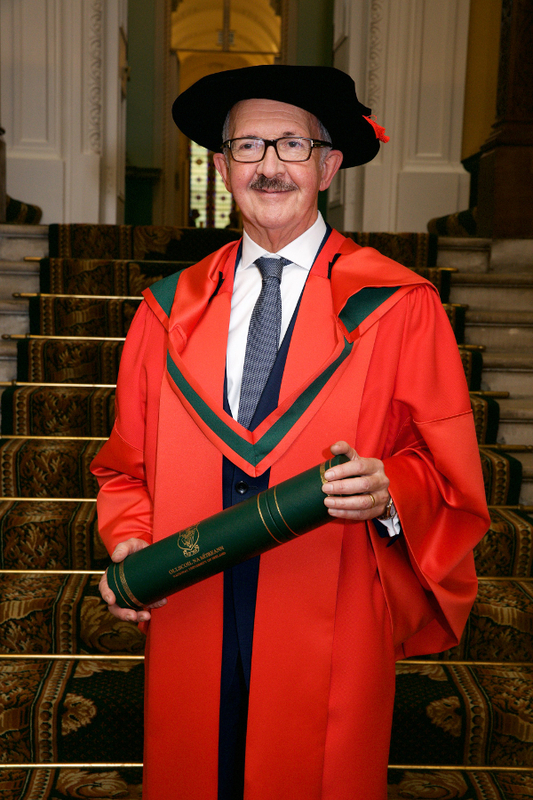 Professor Cathal Kelly, Registrar of the Royal College of Surgeons in Ireland introduced Professor Michael J. Earley who was conferred with an Honorary Degree of Medicine. He referred to Professor Earley as “a distinguished surgeon and artist”, going on to say that his “career highlights the capacity of one individual to make a difference.” Professor Earley is currently Head of Global Standards of Operation Smile Ireland and clinical professor at UCD. 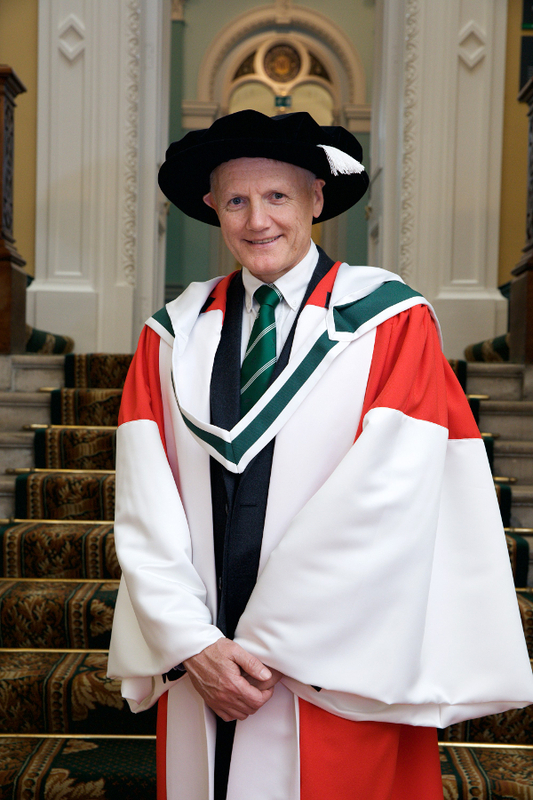 Having spoken to his colleagues, Professor Kelly said that he learned how Professor Earley is “driven by a commitment to quality of care”, seeing “these accolades and positions, not as reasons to celebrate, but as opportunities for improvement, in training and services.” He concluded by noting Professor Earley and his wife Finola’s involvement and commitment to charities such as the Cleft Lip and Palate Association of Ireland, the Chernobyl Children’s Project, The Healing Foundation (UK), The Neurofibromatosis Association of Ireland and the Christina Noble Foundation. 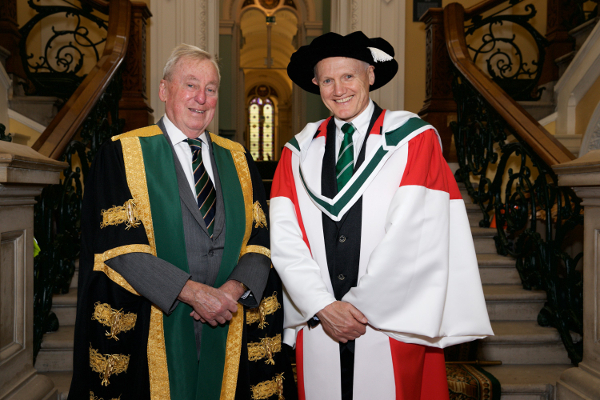 Professor Pat Guiry of University College Dublin introduced honorary Doctor of Arts recipient Joe Schmidt, commenting that he is “lauded by a number of Ireland internationals as the brightest rugby mind they have ever come across in their careers”. Professor Guiry said that Schmidt is known “for analysing his opposition closely, for short, sharp training sessions, and for simple game strategies based on pressure, territory, intelligent defence with aggressive line speed, and rehearsed attacking plays.” He also paid tribute to Schmidt and his family’s dedication to raising public awareness of epilepsy, through work with Epilepsy Ireland. Prof Guiry concluded by telling of how Schmidt who was formerly an English teacher, quotes Aristotle to his players, saying "We are what we repeatedly do. Excellence is not an act, but a habit.” Dr Schmidt was honoured at the ceremony for his contribution to Irish life through rugby. The conferring of Honorary Doctor of Laws on writer Michael J. Conry was postponed due to illness. NUI greatly looks forward to honouring Dr Conry’s contribution to Irish folklore and heritage at a later date.